for $950,000 with 3 bedrooms and 2 full baths, 1 half bath. This 4,440 square foot home was built in 1990. 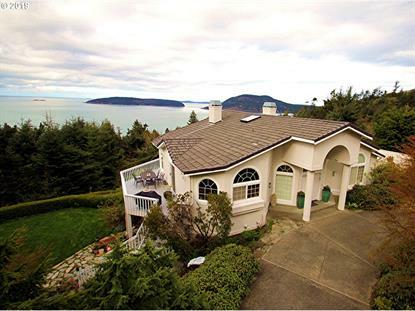 Elegant home with a rare combination of privacy & sweeping views of intense sunset colors over the San Juan Islands! Remodeled w/quality throughout: 50 Year roof, wool carpet, sauna, updated kitchen & baths, FP surrounded w/slabs of stone, custom built-ins, custom closet interiors, Hot Tub, decks and patio.